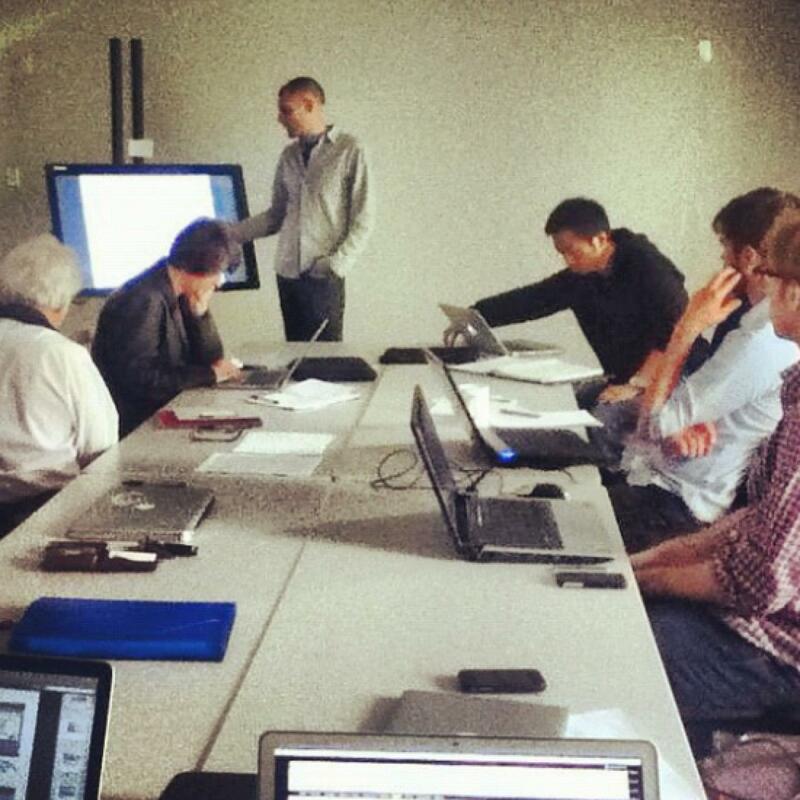 We're over halfway through a project in collaboration with the Mobile Media Lab at Concordia University. Archinodes has been tasked with providing a user interface design and strategy for the development of a mobile application for sound artists, and this past week we had the opportunity to meet in person with all of the project stakeholders. The team is made up of individuals from a wide variety of backgrounds: cultural studies, urban planning, architecture, computer science, mathematics, and engineering to name a few. And not only do we all come from different professional backgrounds, but up until this point we've been geographically separated as well with members coming from Montreal, Ottawa, Toronto and Vancouver. This was our first chance to sit in the same room together. The project progress and plan were discussed and people were given the opportunity to share what they've been working on individually. While each of us have been focused on our own piece of the larger project, one thing became very clear as we went around the room: this project is much bigger than the sum of the parts. The spectrum of backgrounds and expertise present afforded us the opportunity to consider our individual approaches from different perspectives and allowed us to view our own work in the context of the larger project. And it got us even more excited about an already fascinating project. We're privileged to have the opportunity to work with so many uniquely talented individuals. Not only does it challenge us to think about our own work from a different perspective, but our shared insight has proved to be immensely more productive than our individual effort alone.